This effectively threw the proverbial spanner into the work of centuries, for Tenebrae performed in the morning not only destroys its coherence as a nocturnal Office, but also the “atmospherics” of darkness on which its powerful symbolism relies in order to create the right mood. Daylight Tenebrae is, of course, a misnomer and has never been approved by the Church before the Bugnini reform. The self-contradictory nature of this reform is also evident in the same Decree, which, in criticism of the traditional Triduum, stated that “all these liturgical solemnities were pushed back to the morning hours; certainly with detriment to the liturgy’s meaning.” How could the reformers complain when that is exactly what they did to the Office of Tenebrae? 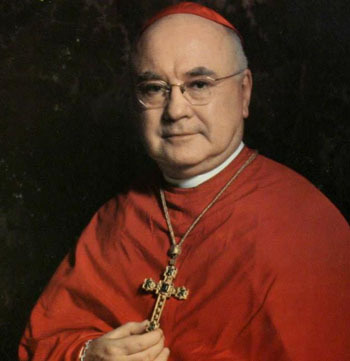 This was the first time in the History of the Church that an official document of the Holy See stood in judgement against its own approved tradition that had been hallowed by centuries of usage and condemned it as detrimental to a right understanding of the Holy Week liturgy. It was a barely concealed rallying cry for a liturgical revolution to usher in a “new understanding” of the Faith. Is there a ‘proper’ time of the day? It might be useful to reflect that the Church had set the Triduum apart from the rest of the liturgical year as a specially consecrated season with its own traditional time-frame for the ceremonies. This was the status quo with which the Catholic faithful were familiar for centuries up to 1955. The progressivists argued that Triduum ceremonies can only be considered truly “authentic” if their timing corresponds with that of the biblical events they commemorate. Thus, the Holy Thursday Mass must be in the evening, the Good Friday liturgy must take place at 3 p.m., and the Easter Vigil must start after sundown – as if it were just a commemoration of historic events, like the “11th hour” of Armistice Day. 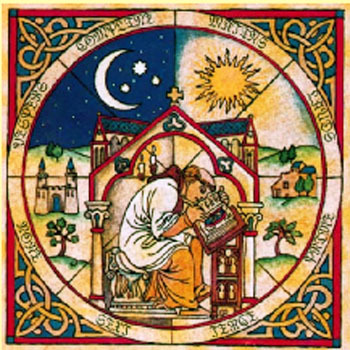 But, this rests on a false premise, that of the so-called veritas horarum – the intrinsically “proper” time of the liturgy – a concept that has only ever applied to the Divine Office and its different “hours” for sanctifying the day. Ironically, they failed to apply this principle to the Office of Tenebrae. It is commonly thought that the 1955 reform was successful in “restoring the liturgy to its authentic times.” But, in the highly partisan agenda of the Liturgical Movement, “authentic” meant returning to early Christian practices and rejecting the traditional liturgy of centuries. The reformers managed to commandeer the public liturgy of the Church by dictating a sweeping change in the traditional norms of the Triduum ceremonies – indeed to destroy the very notion of traditional norms at all. They accomplished this by investing their veritas horarum with the character of an “absolute” that overrode every other consideration – the force of custom, the rights of Tradition or the wishes of the faithful. As all the services, in their estimation, had to be rearranged, the result was a total upheaval of the traditional schedule, which dealt a crippling blow to the Triduum ceremonies. We have seen how Tenebrae was given short shrift by the progressivists – even though it was part of the Divine Office – and subsequently fell by the wayside. Many traditional devotions were also sidelined in the reshuffle. Judging by these results, we can conclude that the purpose of “absolutizing” the concept of the veritas horarum was to isolate the Triduum from its dependence on Tradition. In this the strategy was eminently successful, but we must disagree with Pius XII who personally congratulated the reformers at the Assisi Congress. 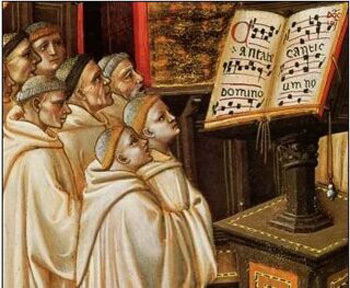 But, giving priority to aesthetically poor performances heralded the end of the Church’s authentic musical tradition, its Gregorian chant, sacred polyphony and great masterworks sung by trained choirs. In recent times, there has been a resurgence of interest in Tenebrae as a “novelty,” and some Novus Ordo parishes have staged their own performances of it, but without any experience or knowledge of its true nature. 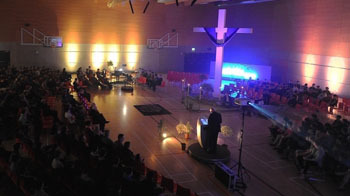 Modern Tenebrae can only be described as a miscreation – in every respect it is to the traditional Tenebrae what the Novus Ordo is to the traditional Mass, that is, a travesty. For they fail to represent the values and qualities of the original and are often performed in a manner that is shocking and offensive to Tradition. The texts are bowdlerized and interspersed with improvised material more congenial to the spirit of the times. There are even “disco style” performances for the young, complete with colored lights and guitars. The only exception envisaged in the Decree was in cathedrals where the Mass of Chrism was said on Holy Thursday morning; Matins and Lauds could be anticipated on the Wednesday evening. The wording of the document was ambiguous: “mane, hora competenti” can be translated as either “in the morning at a suitable time,” presumably for the convenience of the laity to attend in daylight hours; or “in the morning at the proper hour.” which would mean reverting to the original monastic hours after midnight and before dawn, in which case the combined Office of Tenebrae would disappear from the liturgy. Some who follow the 1962 Missal hold Tenebrae services in the mornings of the Triduum, while others adopt the pre-1955 custom of having them in the evenings. Letter of Cardinal Francis Joseph Spellman, 28 January 1956, Archives of the Archdiocese of New York S/C 65 f 9 apud Alcuin Reid, Liturgy in the Twenty-First Century: Contemporary Issues and Perspectives, Bloomsbury Publishing, 2016. F. McManus, The Rites of Holy Week: Ceremonies, Preparation, Music, Commentaries, Paterson, New Jersey: St. Anthony Guild Press, 1956, p. 32. Two of the most popular are On Eagles’ Wings and Were you there? Both are frequently used at modern Catholic and Protestant services.